Despite recent rains, conditions will be conducive for rapid fire growth and spread today. 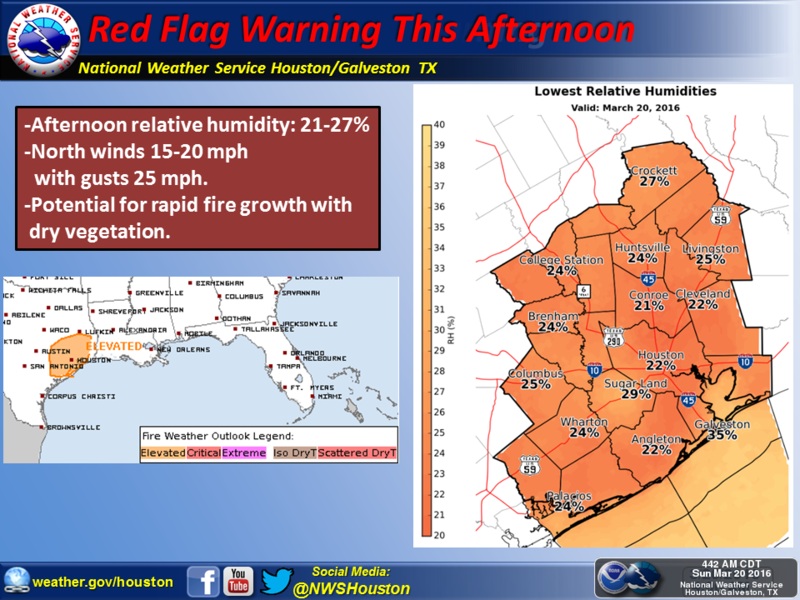 Brazos County and several surrounding counties will be under a Red Flag Warning from 12:00 PM-6:00 PM today (03/20). * WIND...15 TO 20 MPH WITH GUSTS TO 25 MPH. * HUMIDITY...LOW TO MID 20S. * IMPACTS...ANY FIRE COULD QUICKLY BECOME OUT OF CONTROL.